While Studio Ghibli’s films have become famous around the world, their animation production in other areas remains obscure. Ghibli, like most animation studios in Japan, has long supplemented its feature film production by doing animation-for-hire. These ancillary productions take some unusual and varied forms at Ghibli. 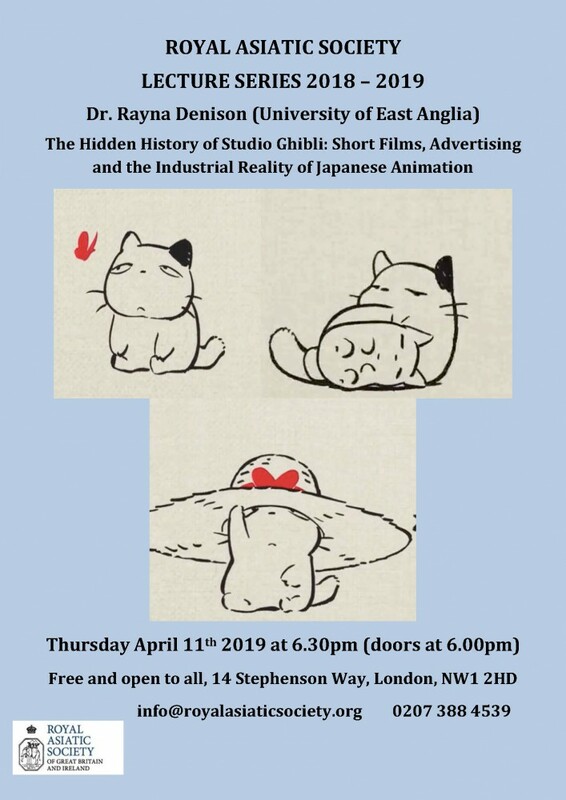 On the one hand, they have produced high profile advertisements for clients, and even animated music videos for Japanese bands, while on the other they have produced animation shorts, exclusively shown at the Studio Ghibli Art Museum in Mitaka, Tokyo. This chapter examines the different economic, aesthetic and corporate influences that can be traced across these shorts in order to think about how Studio Ghibli’s famous house style of animation is impacted by the industrial realities of Japanese animation production.